Logitech Harmony 700 review | What Hi-Fi? If you're after a universal remote, buying a Logitech Harmony is the way to go. The more pertinent question is: which model in the burgeoning range is the one to get? All Harmony remotes share the same key strength – the set-up software. Simply tell the web-based system what kit you've got, and it will recommend activities that will utilise them. These are then mapped to a single button press on the remote. You're welcome to tinker and add extra functions and tweaks to these macros, but the default settings will get almost any system up and running with ease – the only thing it can't operate as standard is the PS3, which requires an optional adapter. So, the Harmony 700: it's essentially a stripped-down version of the Harmony One. In fact, it's ergonomically identical, but has a slightly less luxurious finish and a smaller screen that has context-sensitive buttons to the side rather than proper touch sensitivity. The 700 does without the One's dedicated dock, too, but does have an AC adapter for recharging. In action the 700 works just as well as its Logitech siblings, but it will control just six devices. Sure, for most people this is enough, but it's bizarre considering that the much older and cheaper Harmony 555 can operate 15. 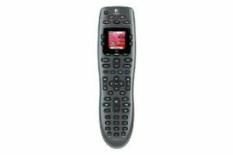 In fact, if you're looking for a budget universal remote, it's the 555 we'd recommend (while still available), while those after something flashier should opt for the One. But the 700 still has plenty to offer.